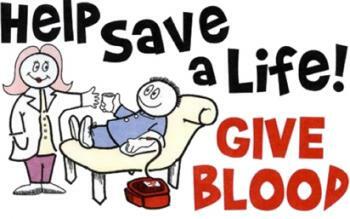 The Lifeshare Blood Drive will be held , Monday Sept. 11th from 8:30 am, until 2:30 pm. The drive will take place on the Lifeshare Mobile Unit, which will be parked in front of the school. You must be at least 16 years old to donate blood. If you ARE 16, you must have a form signed by your parents. Parents and community members are encouraged to donate as well. All donations help a Senior earn a scholarship. Please sign up up in the library with Mrs. Belk BEFORE Friday, September 9th, at 3:10 pm. Parents and community members may sign up for a time by calling (903) 728-5216.